“Food is more than a means of sustenance. 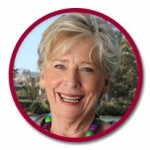 It has to be a pleasure and bring joy to those who need joy.” A good food life for all, and all that encompasses, is what drives Maggie Beer. Maggie's hope for every Australian to have a good food life leads her to work on many levels, with the hope of encouraging everyone to enjoy quality, seasonal cooking every day. Earlier this year Maggie announced that she has partnered with Country Health SA to improve the quality of food in the state’s regional aged-care homes. The campaign will first be trialled at Mount Pleasant Hospital and Abbeyfield Residential Care in Williamstown, and it forms part of the State Government’s Ageing Action Plan. Maggie will be unveiling her involvement in further initiatives during a major forum at this year’s Tasting Australia festival (April 27 - May 4) in Adelaide. On Tuesday 29 April, Maggie and fellow Tasting Australia Creative Director Simon Bryant will join a panel of chefs and Aged Care industry leaders in a Think Session to discuss the issues around feeding an ageing population. They'll then pass judgement on the contestants of the "Every Dollar Counts" cooking competition which will see six of South Australia’s talented aged care chefs create signature dishes using an increase from their normal budget of $4 per person and premium fresh produce. “It is such a huge thing to change,” she said. “It is going to be the rest of my life. I am on this journey and I am gathering my forces with like-minded people around Australia. Ms Beer said she would be following the lead of her friend Stephanie Alexander, whose Kitchen Garden Foundation has revolutionised food education in primary schools around the country. A good food life for all, and all that encompasses, is what drives Maggie. As part of this philosophy, Maggie is proud to be the South Australian Ambassador for the Stephanie Alexander Kitchen Garden Foundation, whose inspirational programme can truly change lives. Maggie's hope for every Australian to have a good food life leads her to work on many levels, with the hope of encouraging everyone (young, old and in between!) to enjoy quality, seasonal cooking every day.